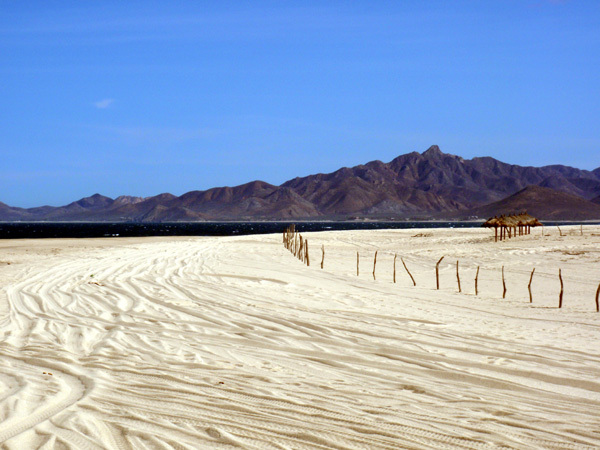 Flying across Mexico and then the sea of Cortez, on our way to the small fishing village of la Ribera, I was amazed at the size of the mountains that run along southern Baja. Their size reminded me of the rocky mountains. However there was very little green on them, as this is a true desert environment. 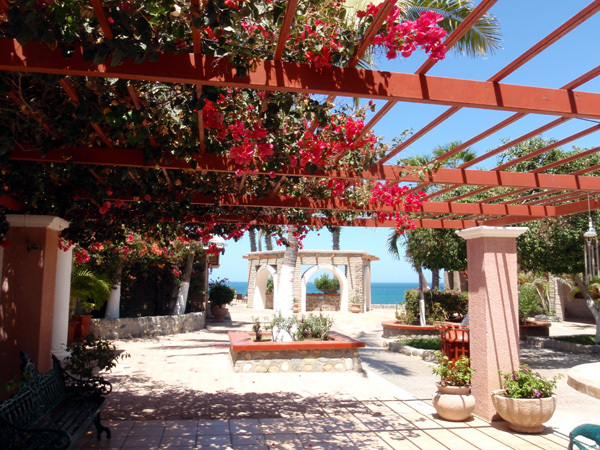 After landing in the cabo airport we quickly passed thru customs and found our taxi for the hour and 15 minute ride to our hotel, Punta Colorada. Along the way we passed endless expanses of scrub land with giant cacti everywhere. Most of the vegetation was brown, except in certain areas that somehow held more water. How anything could survive in such a harsh environment is a wonder. We drove over dozens of bridges spanning streams. A few of the bridges were hundreds of feet across, and below each of them was dry sand and dirt. Not a drop of water was anywhere. During the hurricane season they swell with water and may run for a month. Without these bridges, the dry streams could not be crossed when they have swelled from the rains. 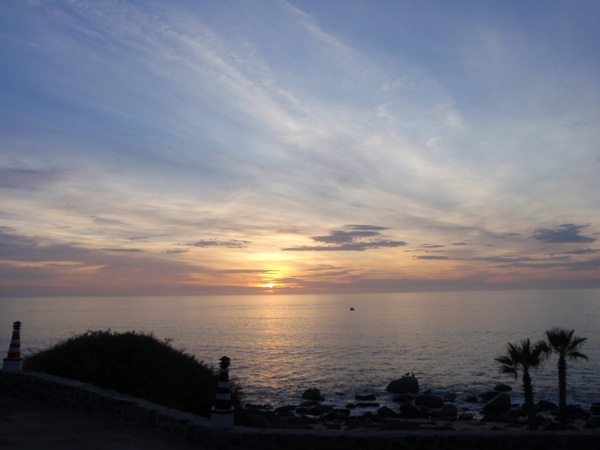 As we neared the hotel we caught glimpses of the blue ocean. 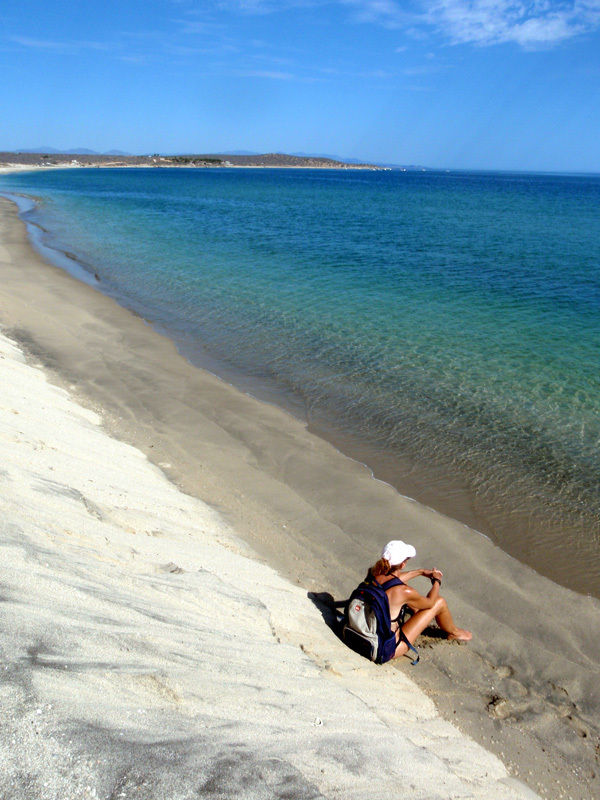 It's a stark contrast to have such a barren environment on land and to be able to walk down the hill onto the beach, overlooking a sea so full of life. 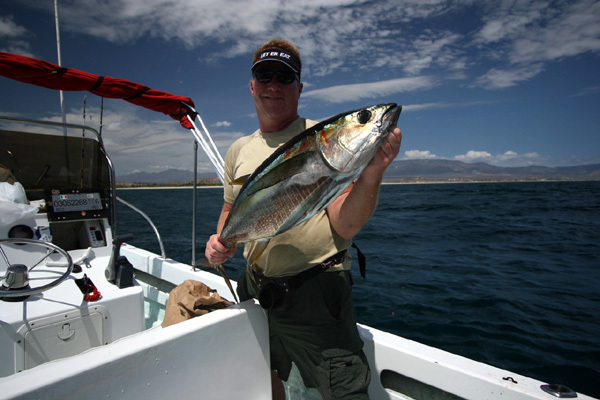 The sea of Cortez is renowned for it fantastic fishing. 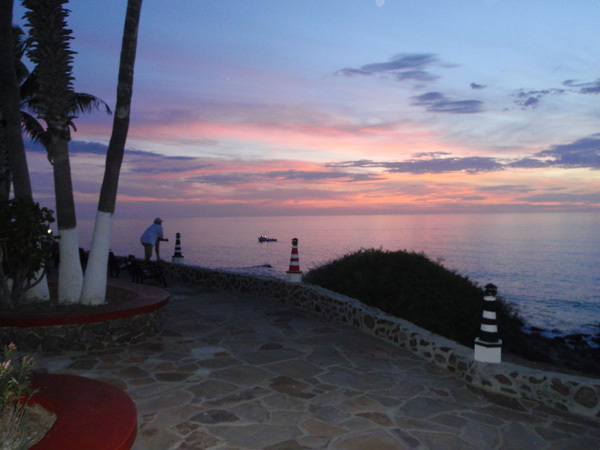 Black, blue & striped marlin, tuna, dorado, sailfish, wahoo, whales and more teem in the deep blue waters. 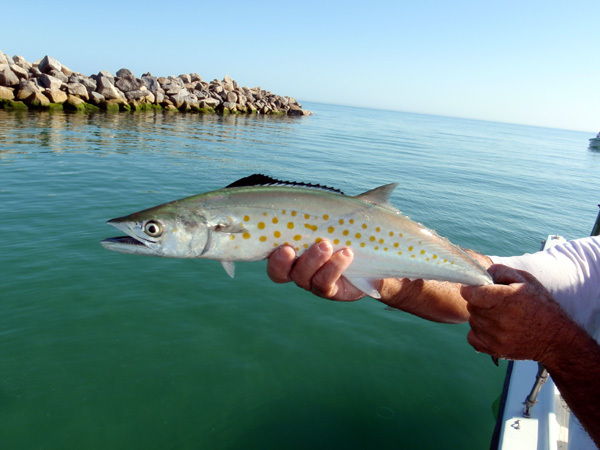 Roosterfish, jacks, mackerel, ladyfish and more patrol it's inshore waters. The amount of bait, mostly sardinas and mullet, was astounding. 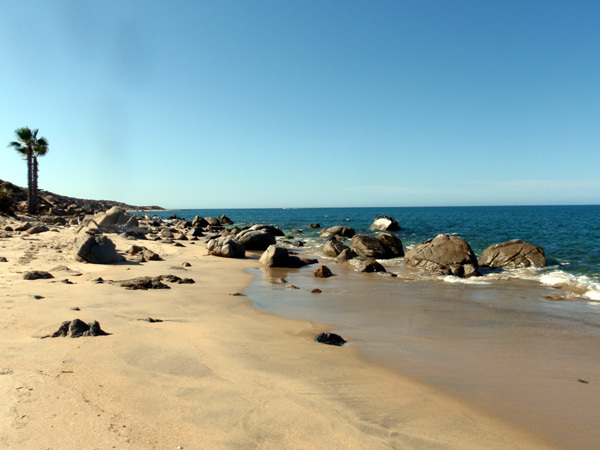 At Punta Colorada, photos lined the walls, exhibiting the catches over the years. 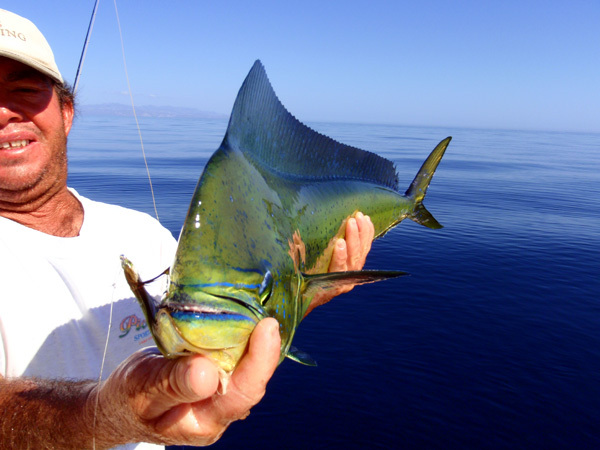 Mounted game fish were everywhere, all remnants from the days before catch and release. 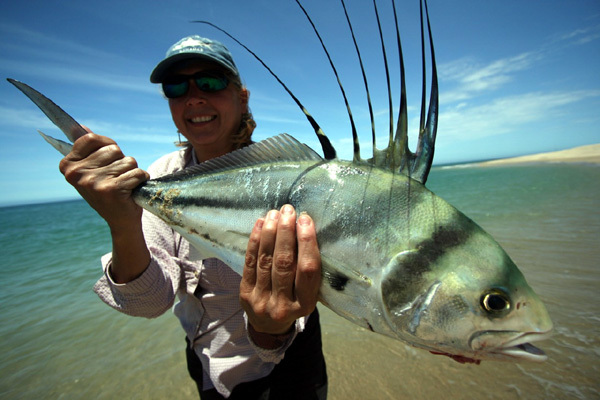 Now most all billfish are released, as well the roosterfish. 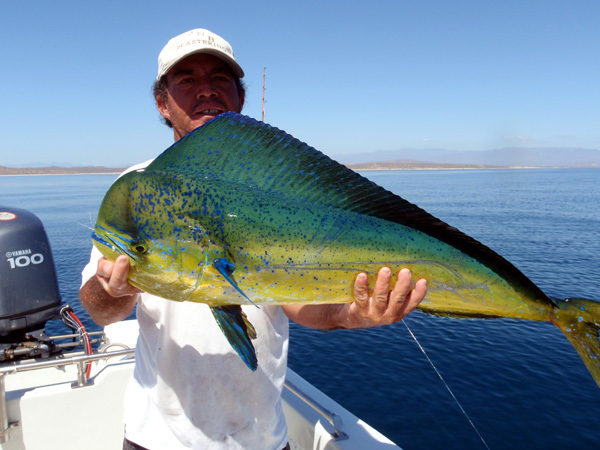 Many anglers also now release many of the dorado, especially if they already have a few for dinner. 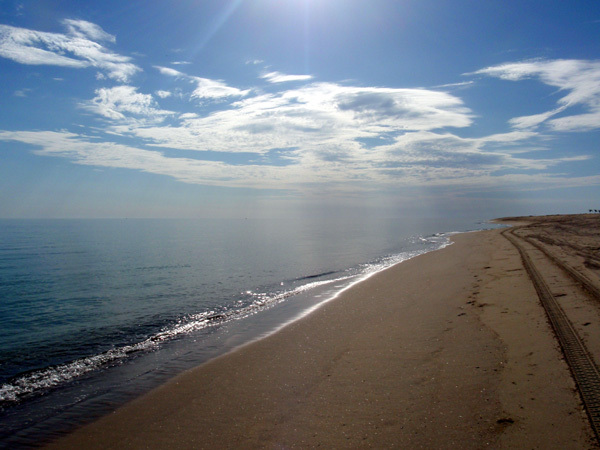 There were two types of fishing we did: from the boats in the blue water or along the coast, and from the beaches. 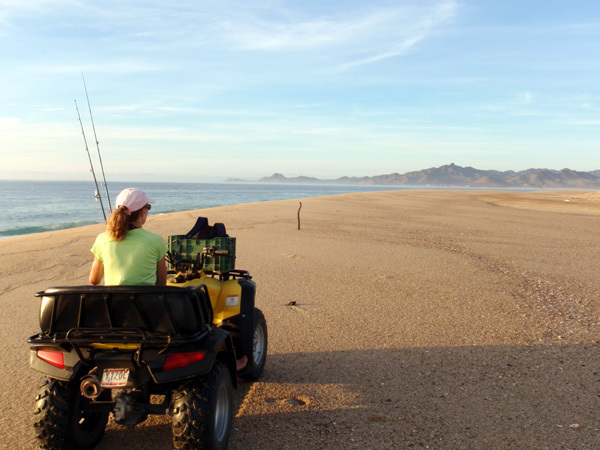 Fishing along the beaches, either on foot or on an atv (very fun) is the most challenging. 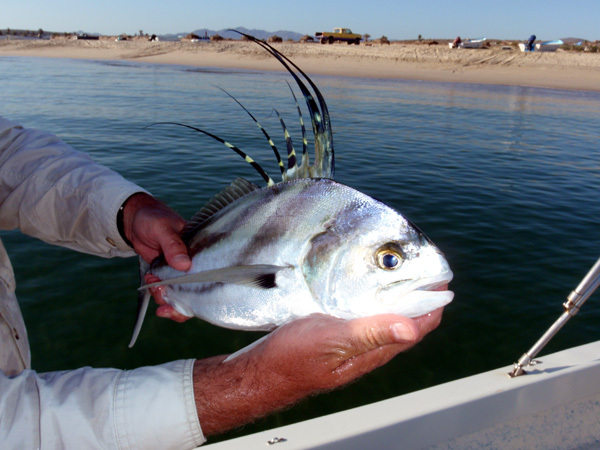 Once a roosterfish is spotted feeding or cruising the beach, you must quickly get into position to make the cast. Quickly is an understatement. I have not seen many fish move as fast as a rooster when they were chasing bait! They could boil on some baitfish in one spot, and within 2 seconds be forty feet away boiling again on some other baitfish! Cruising the beach they were usually moving at a more reasonable pace, and you could often get a great shot at the fish, and when it passed, sprint down the beach to get ahead of it again for another shot. As I was told, it's not that hard to get the fish to follow your fly, but it is hard to get them to eat it. How true. I had several nice fish chase my fly to within a foot or two, only to turn away, and swim off. I saw some roosters crusing along the beach that had to go 30-40lbs, easy. Landing a roosterfish eluded me on this trip. 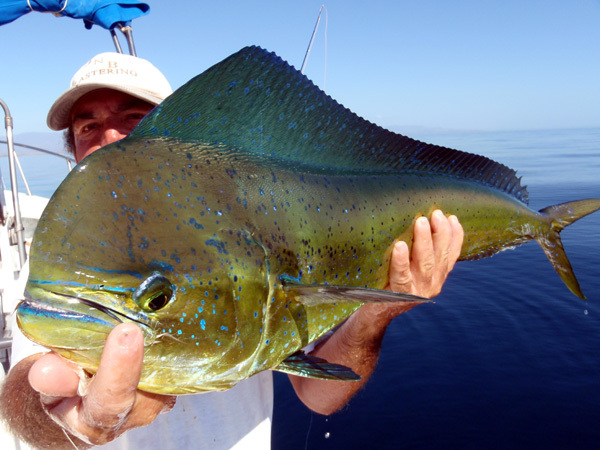 My fishing partner Elbert Bivins was able to land a small rooster while fishing along the shore from our super panga. Fishing from the boats is also fun. You generally buy bait from local fishermen in the am on the way out, and it is kept alive in the livewell. 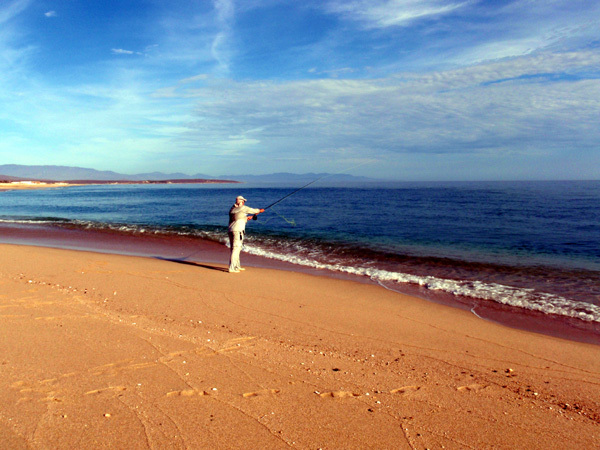 Fishing along shore, the sardinas are thrown into the water to attract roosters (and often lady fish, jacks and mackerel). You need to be quick on the draw when the fish start boiling. They move with lightening speed and don't stay in one place long. 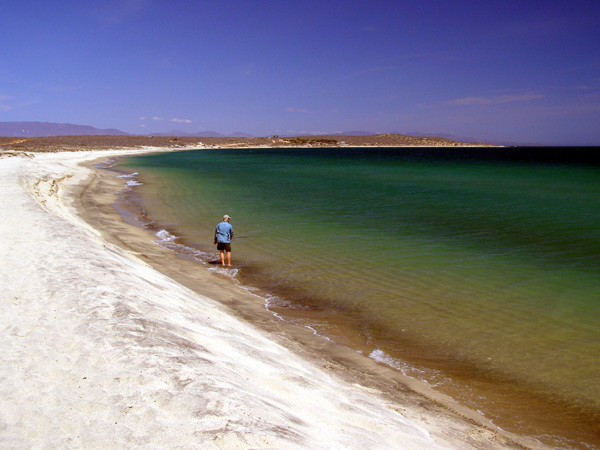 In the blue water, you can also chum in likely spots, especially when some signs of fish are present. This will keep the fish around a bit longer and bring them closer to the boat. 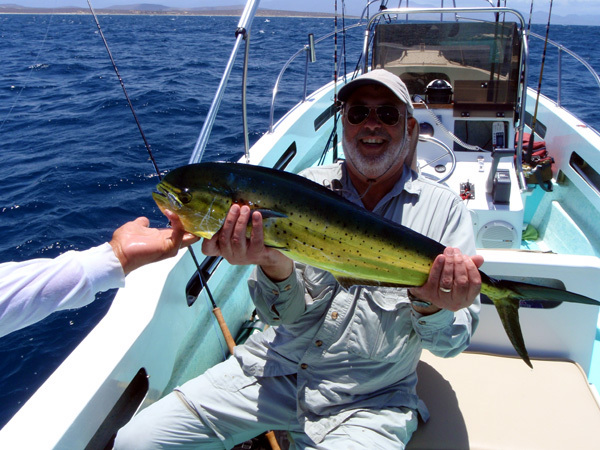 We landed many dorado this way, and it is great fun. 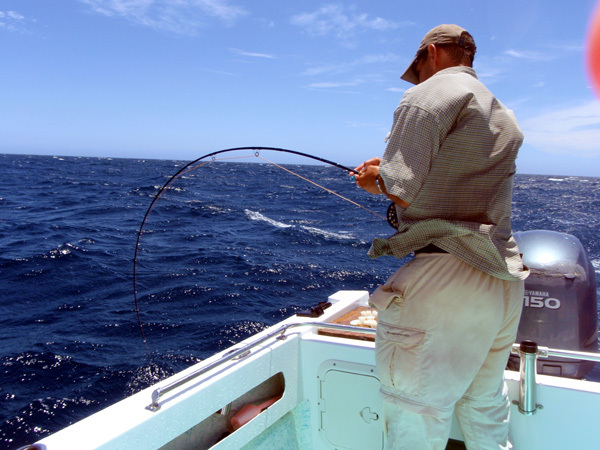 You can also troll until one is hooked, and when the school nears the boat, chum is used to keep the fish around. 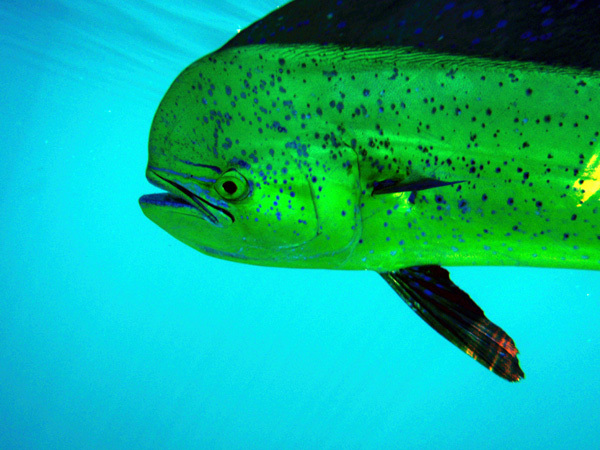 These fish are beautifully colored, and love flies. 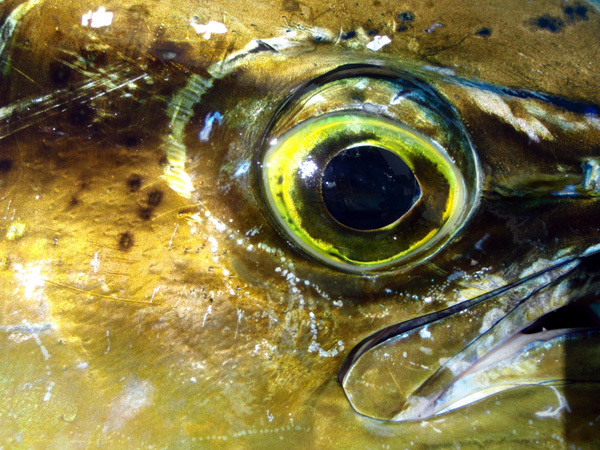 They run and jump like a tarpon, but have mouths that hold a hook well. Perfect fly rod fish. 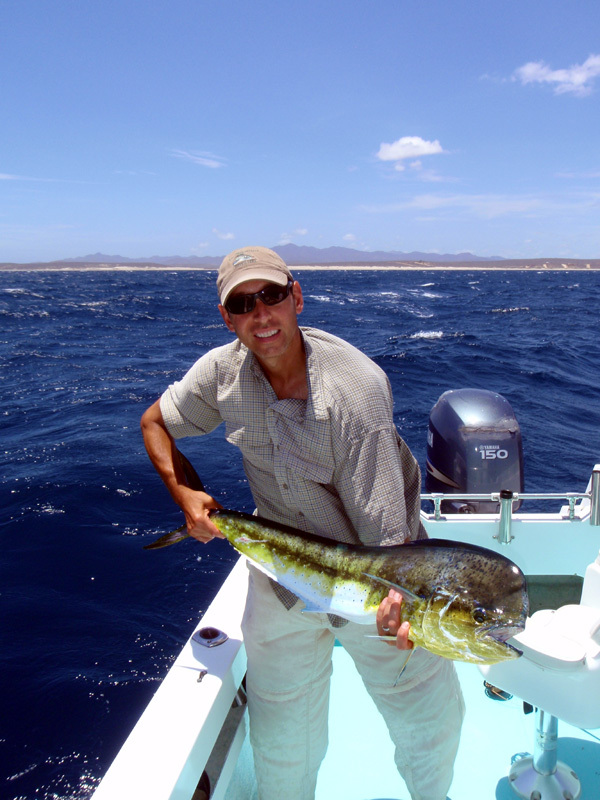 One day while fishing the blue, the day we landed many dorado, we cast to small marlin, huge wahoo, and very large jacks. We saw sea turtles, a seal, frigate birds and an osprey. The ocean was full of life, and you never knew what you might encounter. Leslie & I were joined on this trip by Tom and Patty from Buffalo, and Elbert & Betty, from Mississippi. 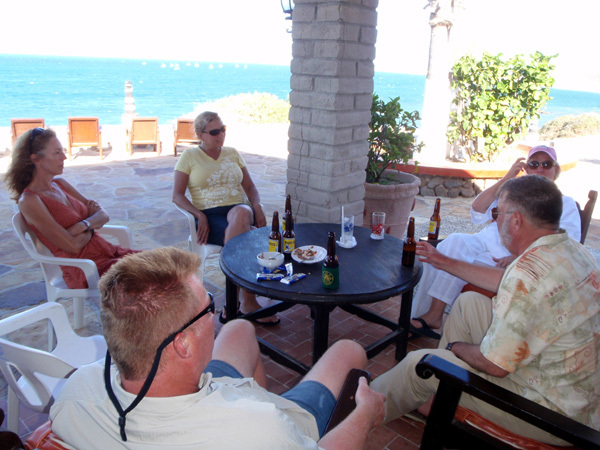 After the day of fishing, we relaxed on the huge patio overlooking the sea of Cortez, enjoyed fresh ceviche, cold beers and long fishing tales. 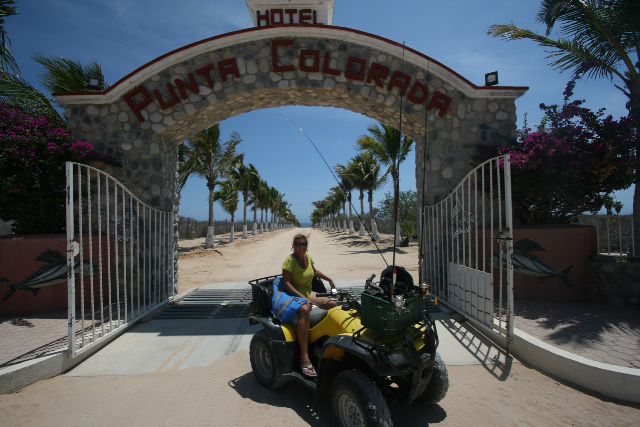 Tom and Patty fortunately got to stay two extra days, where they fished the blue and rented atv's to patrol the beaches. 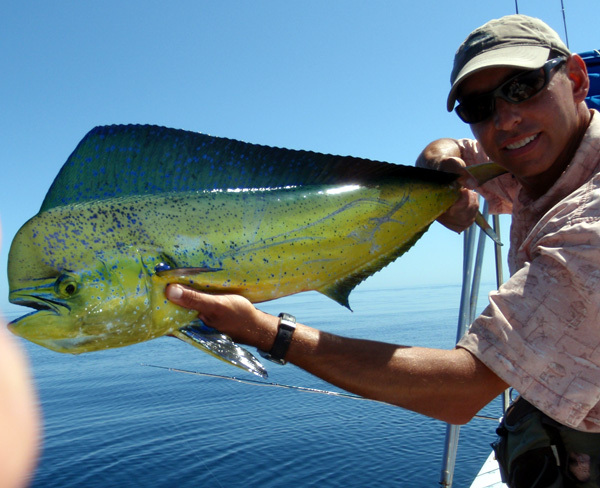 Their day on the boat, using conventional gear, they landed 2 marlin, 8 tuna and 7 dorado. 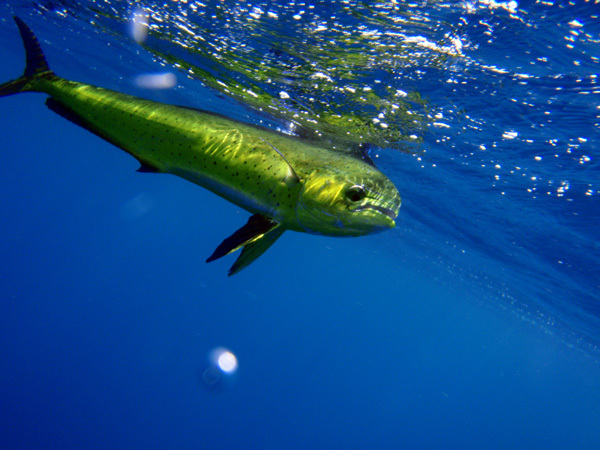 These fish can also be targeted using flies, and the captains know how to tease the billfish in, as well as the other species available. 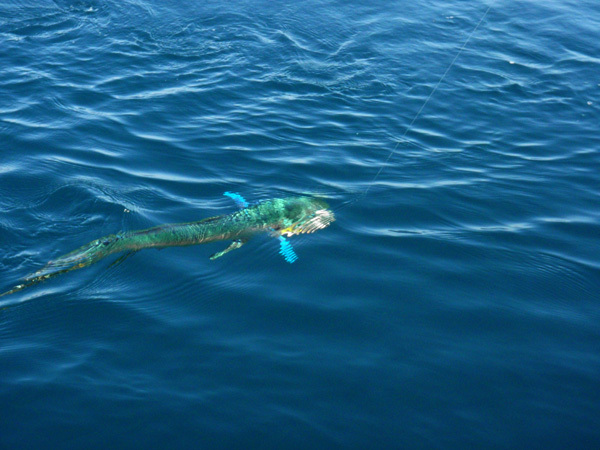 Next time my goal is to land a billfish on the fly, and of course that elusive roosterfish. It was a great trip, and I am already looking forward to returning next summer.